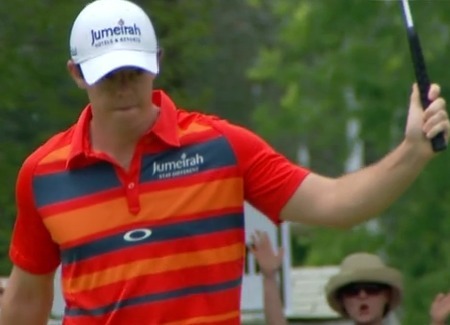 Rory McIlroy banked a cool $1.17m with his sensational four shot win in the Quail Hollow Championship. But according to his manager Chubby Chandler, the Holywood star earned something even more valuable with his amazing final round 62 - total respect from his rivals. Set to celebrate his 21st birthday with a party at Sawgrass tonight, McIlroy not only has America at his feet, he’s proved to the world’s best that he is now a major force. Putting McIlroy’s career changing victory in perspective, Chandler said: “One of the biggest things to come out of this and what’s great for Rory is that his peers now realise how good he is. “Everybody in the game now respects him. And it’s not just because he is a young kid with a lot of potential, but because he has gone out and done it. 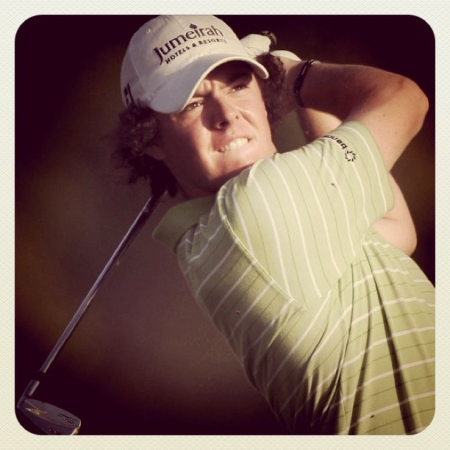 “He won’t put himself under pressure to go straight out and win majors. I think he will take everything in his stride. “You have got a very confident young kid who has just had a massive injection of confidence. So you will just have a massively confident kid that is even more confident now. McIlroy made an eagle and eight birdies in one of the greatest final round performances ever seen on the PGA Tour, moving up four spots to ninth in the world and to second in the European Ryder Cup race. Who knows how history will remember McIlroy. But he has no plans to get carried away with himself and intends to build slowly on Sunday’s breakthrough. He said: “I shot a 16-under on the weekend around a golf course like this. You can’t get much more of a confidence boost than that. But I’ve still got a long way to go. “Great young players like Camilo Villegas and Anthony Kim, they’ve won three times on this tour, and this is my first, and hopefully I’ll be able to join them soon. “I just want to concentrate on getting a few more wins, learn as much as I can at the majors. I’ve had a couple of good finishes in majors before, but it really takes a while to get used to figure them out. “But you know, if I went to a major championship and played like that over the weekend, I probably would win, as well. 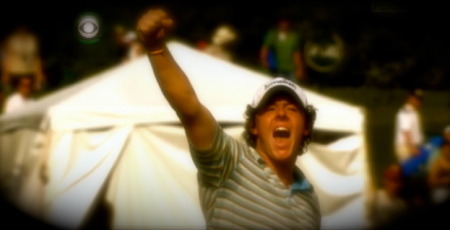 McIlroy is hugely popular in the locker room and the big names were delighted to see him break through in the US. Padraig Harrington waited for two hours to see McIlroy finish and insisted that the young Ulsterman’s victory couldn’t have come at a more important time. Watching McIlroy come down the stretch, Harrington said: “I think it means a lot for him. We can talk about European golf afterwards, but it’s a big deal for him to come over here and start winning over here. “He wasn’t contending, wasn’t winning, and if he can get across the line it makes it a lot easier for him going forward, and I think it could make a big difference to his career. Masters champion and world No 2 Phil Mickelson gave it everything but still came up four shots short of the incredible Irish star. Phil said: “He’s an amazing talent. You knew he was going to come out and win out here. He’s won all other places in the world at 20 years old. It’s remarkable, and he is some kind of player. “He’s got all the shots, he’s got the game of a veteran, and he’s a class act. He’s fun to be around. You can’t help but pull for him - 62 is one of the best rounds I’ve seen in a long, long time. CBS commentator and fellow Ulsterman David Feherty, now a US citizen, was stunned by McIlroy’s composure coming down the stretch. An assistant pro at Holywood before McIlroy was born, Feherty said: “To play like that, with the lead, at his age, stunning. I tried to be as impartial as I could, but I was jumping up and down like a leprechaun. Feherty was talking about Tiger Woods, who missed just the sixth cut of a 14-year professional career on Friday. No-one was talking about the troubled world No 1 on Sunday as Ireland’s Tiger cub roared loud and clear that he’s ready to take on all comers. For two months this season Rory McIlroy could do nothing right. But that all changed at Quail Hollow on Sunday, where the Hollywood sensation followed his mind-blowing, four stroke victory with a post round press conference that was as ever bit as immaculate as the 62 that blew the best in the world away.